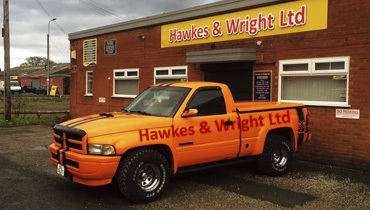 Hawkes and Wright is based in Neston Wirral, co-owned by Phil and Lee who have been in the Car Accident Body Shop industry for over 20 years and have extensive knowledge and experience in this field, with regular training and keeping updated on industry changes they ensure that they are always delivering a high standard and quality of workmanship. Their focus and attention to detail is second to none, they simply just love what they do. They have completed many restoration projects from high Perfomance Cars to Classic Cars, they also cater for any vehicle including a boat, a coach, a horse box and more! After expanding their service with Wheel Refurbishment many years ago they now also offer a Hydro Graphic service to custom your vehicle alongside other services. To get your Free Estimate use our Free Estimate Form.